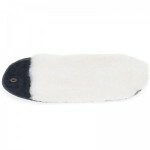 This soft shearling polishing mitt is perfect for adding the final buff to your shoes. 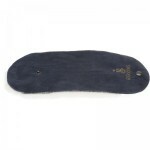 Rub vigorously over the polished shoe with the fleece side and an extra shine will appear. 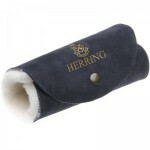 The outer is made from soft nubuck leather with a press stud to allow it to be rolled up and secured for storage. The lining is natural wool. 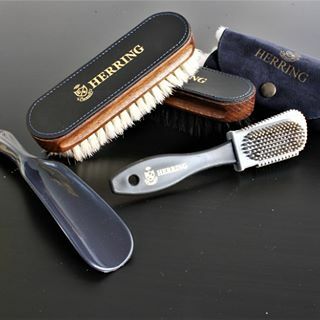 The size is approximately 27cm x 14cm.